The 5th-generation Enlighted smart sensor is engineered with insight from installations in more than 200 million square feet of buildings that have collected 10’s of terabytes of data. Featuring a 32-bit ARM processor with enhanced processing and memory capacity, it is an IoT-Ready Profile 1 compliant IoT sensor. The 5th-generation IoT sensor provides an upgrade path matching the cadence of building infrastructure upgrades. Through the 32-bit ARM processor and its expanded memory, the sensor has the compute power required to handle years of feature and security advancements through automatic remote software upgrades. This allows building owners to unlock new capabilities as IoT technology and use cases advance. 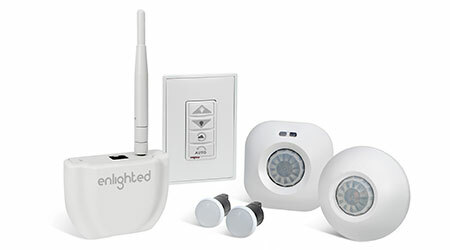 The sensor also features easy hardware upgradeability in the field, so customers can remove and replace the sensor with a new one during the lighting fixture’s 15 to 20-year lifecycle. Its small size enables it to be housed in a separate carrier sleeve, which allows toolless replacement without disturbing the light fixture or ceiling tiles. The sensor is also available in multiple upgradable configurations. This makes it easy for customers to select the capabilities and cost that make sense for their current project — whether it is advanced lighting control, additional energy management features or a full suite of IoT applications—and add features through future software updates. The sensor platform features a number of enhancements from the previous generation, including lighting features like daylight groups, which support efficient daylight harvesting, and an astronomical clock, which creates advanced lighting schedules based on local sunrise and sunset. The sensor meets the IoT-Ready draft specification, which defines a standard communications interface between the sensor and driver for lighting control, driver status and energy consumption information, as well as mechanical sensor mounting specifications in luminaires.